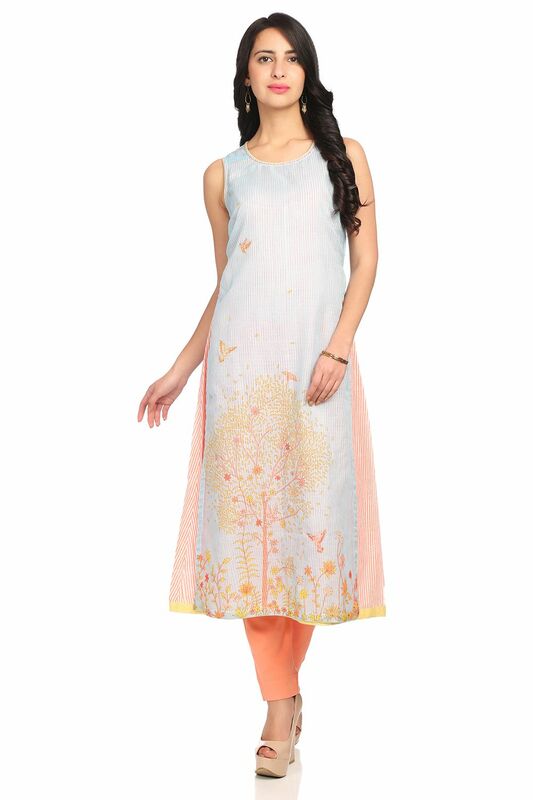 Welcome summer with full bliss by wearing this peach art silk kurta that features soothing print. 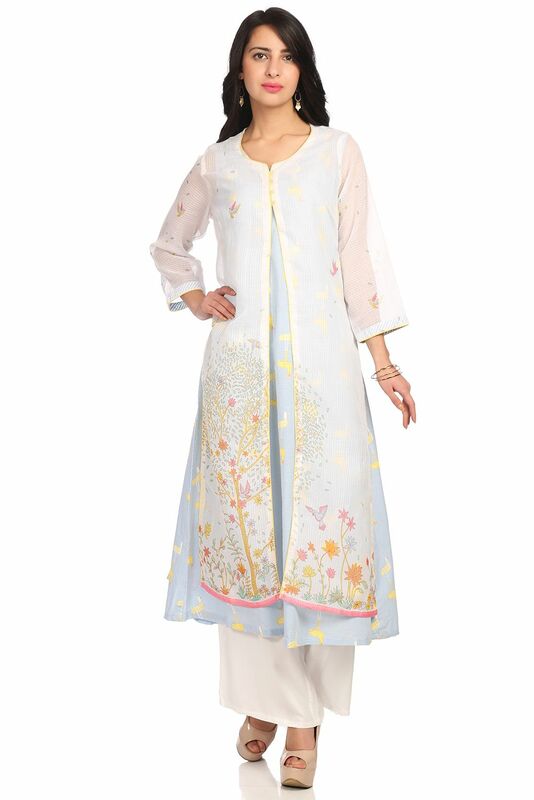 It incorporates a cotton made striped inner covered by a beautiful printed outer. 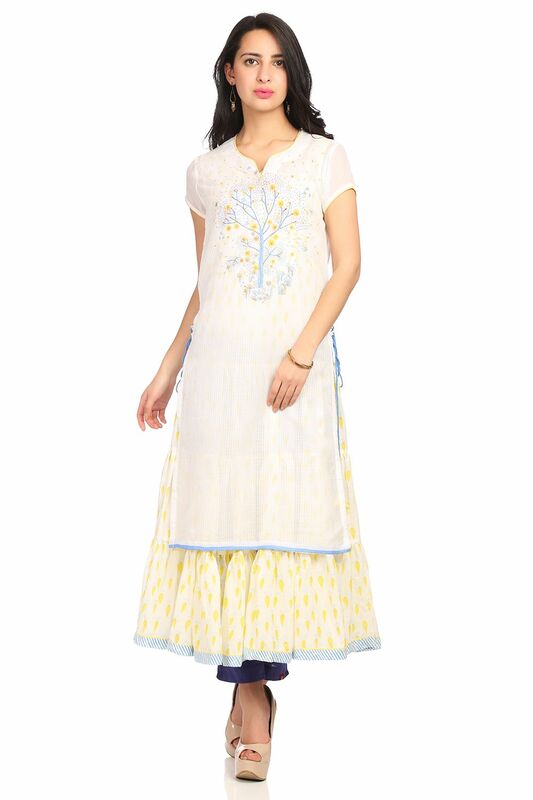 Pair it with white bottoms, palazzo pants or straight pants to pull off a cool, chic look. 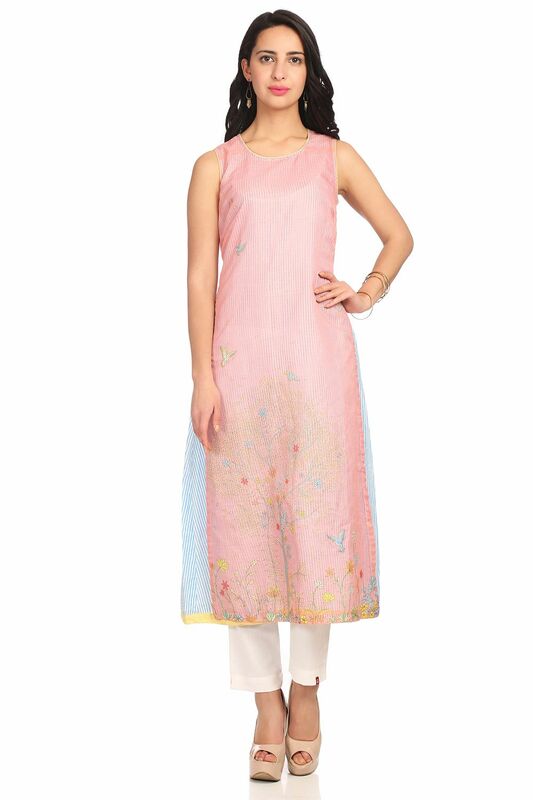 The kurta makes a fabulous addition to your summer wardrobe.